In Barcelona you can move in many ways. 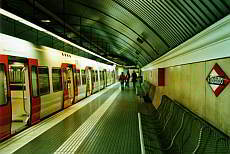 The public transport network in Barcelona is well-developed by metro, bus and train and offers convenient transportation for many people. Here is an article that will help you find your way around Barcelona. The alternative is a private pre-booked transfer. You can choose between vehicles for small or large groups by taxi, people carrier or coach. Barcelona is huge, but with the modern and very well-developed public transport you will reach every place in the city quickly, easily and affordably. Metro, bus and tram travel in a very tight cycle and until late at night. There are several other alternatives, such as taxis, cable cars, funicular railways or trains to get to your destination. 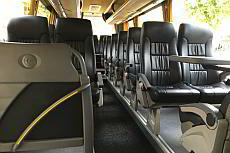 Travel within Barcelona (also fair Hospitalet de Llobregat) and outside as chauffeur service from 3 hours at a fixed price (taxi, limousine, van, minibus or coach).